One of God’s angels has returned home. 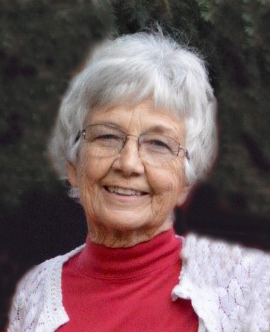 Jeanette Elaine Detmer Seamons, 77, died on Dec. 23, 2016, in St. George, Utah, after fighting several of life’s cruel diseases. Jeanette was born June 24, 1939, in Holyoke, Colorado, the daughter of Otto and Edythe Detmer. ‘Vim, vigor and vitality’ was written under her Blackfoot, Idaho, valedictorian high school picture and basically describes her. She worked at Arco, Idaho. but met her future husband, Dwight, at a bowling alley in Blackfoot in February and then married on December 5, 1958. Dwight wanted to continue his education so they moved to Bozeman, Montana, in 1968 to get his Masters in Computer Science. They had four daughters and Jeanette was very involved in supporting all of their activities. She was a joy to anyone who met her. She loved people and was so Christ-like with all of her brothers and sisters. She knew her neighbors and would take care of anyone that walked through her door. If she knew you, you were her friend and a friend for life. She was active in The Church of Jesus Christ of Latter-day Saints. She loved walks in the fresh Montana air, foot rubs on her arthritic feet, rock hounding, ATV rides, sewing, family history, any kind of puzzle, pinochle, being with family and she was the queen of garage sales. She will be terribly missed. She is proceeded in death by her parents, Otto and Edythe Detmer. She is survived by her husband, Dwight C. Seamons; her brother, Jack E. Detmer; her daughters; Janae Heap, (Dwayne in Bozeman, Montana), Trudi Gibbs, (Craig in Nashville, Tennessee), Leann Wendt, (Ben in Perth, Scotland) and Mindy May, (Clint in Buena Vista, Virginia); 16 grandchildren and 12 great-grandchildren. Funeral services will be held in Bozeman, Montana, at The Church of Jesus Christ of Latter-day Saints on Coulter Drive at 1 p.m. on Jan. 7. A graveside memorial will be held at the Groveland Cemetery, in Blackfoot, Idaho at 1 p.m. on Jan. 9. Arrangements are under the direction of Spilsbury Mortuary, St. George, UT (435) 673-2454. Family and friends are invited to sign her online guestbook at www.spilsburymortuary.com .